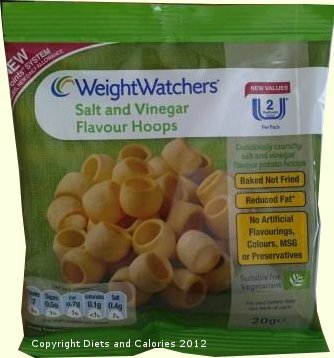 Weight Watchers have a wide range of reduced fat savoury snacks which are all calorie counted and labelled with Weight Watcher new ProPoints values. Among the multipack varieties are Salt and Vinegar Flavour Hoops which have at least 30% less fat than standard salt and vinegar flavour hoops. 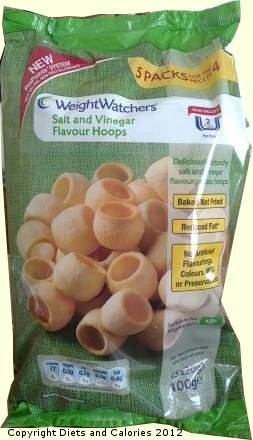 These crunchy potato hoops have been ‘baked not fried’, have no artificial flavourings, colours, MSG or preservatives. Multipacks contain five 20g bags, with each bag worth 77 calories and 2 ProPoints. 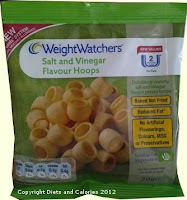 You can find Weight Watchers Salt and Vinegar Flavour Hoops in supermarkets and Poundland.